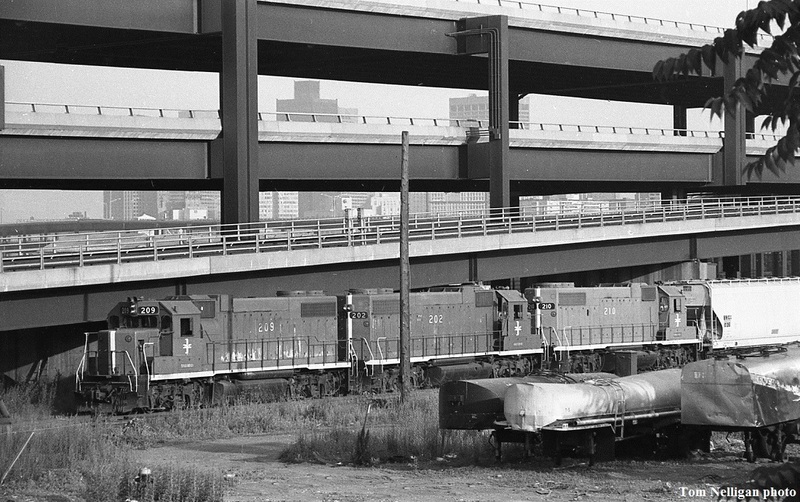 In one of the less scenic corners of the city of Boston, Boston & Maine train EDSA (East Deerfield-Salem) heads north beneath the I-93 viaduct and the Orange Line tracks near FX interlocking in Charlestown. It was unusual to find this trio of GP38-2s on this job, which usually drew GP9s and GP18s. Photographed by Tom Nelligan, August, 1978.